Hello my lovelies! I'm sorry I skipped last week's Monday Blues but it was a holiday in my country and I just couldn't be bothered to do anything but sit around and read. I was actually free the whole week so today was my first day back at work. I must say it didn't make me very happy. Another event from last week was actual snow coming to our city for a day or so. This made me really sad because you all know how much I hate the cold, not to mention in April. The weather is beginning to pick itself up again now, so I'm expecting sunny days from tomorrow on. Today's nails are very simple and they are a tribute to the sun. I wore these at the beginning of last week because I wanted some holo in my life. Take a look! 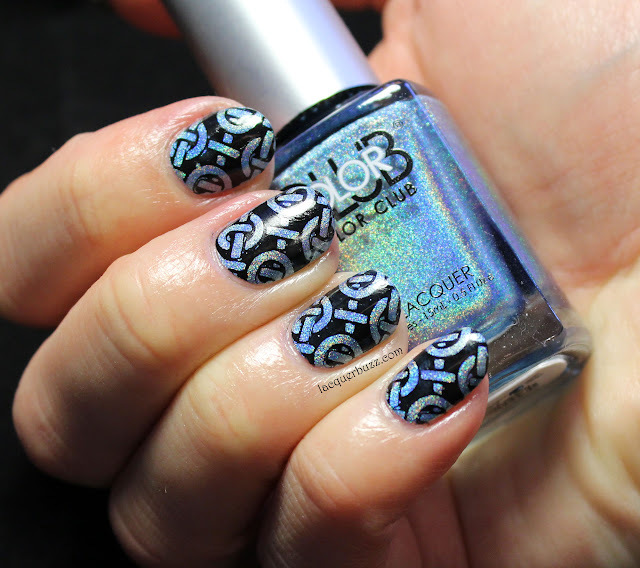 The Color Club Halo Hues polishes are still my favorite holographics of all time. 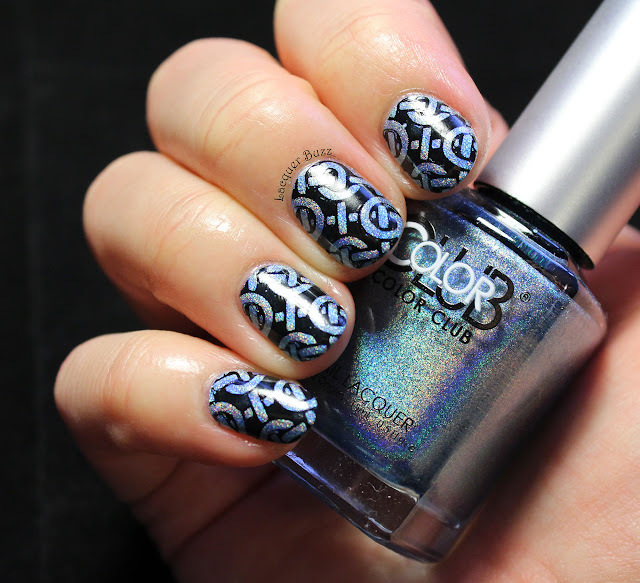 The holo effect is really strong and they apply like normal polishes, with no dragging and great opacity. So I brought out the bluest of them all, the one called Over the Moon. I really like to wear this one when my nails are a little longer because I want a bigger surface to admire that holo effect. 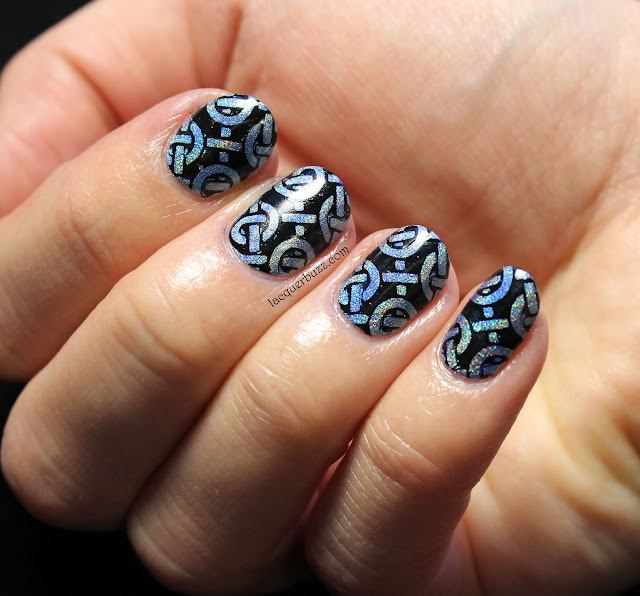 For the stamping I used a plate called "the tattoo plate" from Nailz Craze. It's number NC06 and it's full of tattoo inspired designs. I chose this negative space one because I usually like to pair this effect with holo polishes to make the background pop. 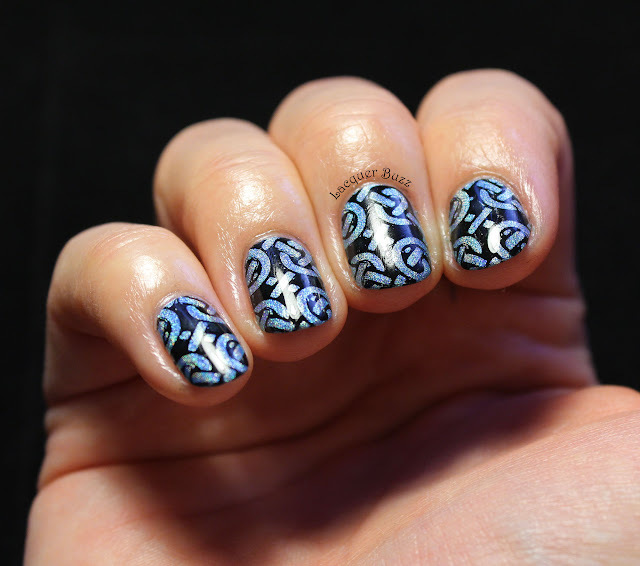 I used Konad Black for the stamping and it came out perfect. Hope these nails brightened your Monday a little bit. To me they were both edgy and elegant at the same time. Don't forget to check out the rest of this month's Monday Blues in the links below!